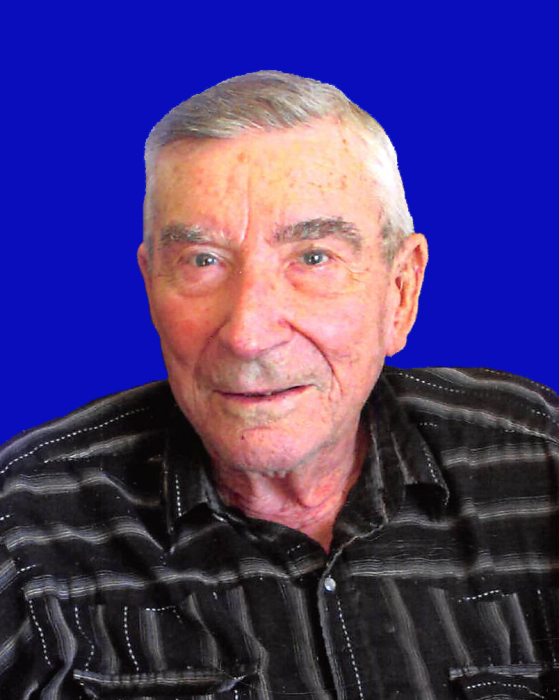 Leonard J. Buttke, age 91, of Corona, SD, died on January 18, 2019, at Milbank Care and Rehabilitation Center. Funeral services will be held on Wednesday, January 23, 2019, at 2:00 p.m. at Trinity Lutheran Church in Corona, SD, with Pastor Caleb Schewe officiating. Visitation will be held on Tuesday, January 22, 2019, from 5:00 – 7:00 p.m. at Mundwiler Funeral Home in Milbank. Burial will be at Kilborn Cemetery in Corona. Leonard James Buttke was born in Milbank, SD, on April 10, 1927, to William and Erna (Seehafer) Buttke. He attended school in Corona, SD, and graduated from Corona High School in 1945. After graduation, he began working on a local farm. He joined the United States Air Corp on November 8, 1950, and served for ten months. He later re-enlisted in the Army and served in the Korean Conflict. During his service, Leonard earned the Korean Service Medal with one Bronze Service Star, the United Nations Service Medal, and an Overseas Service Ribbon. He was honorably discharged on October 29, 1952. After his time in the Army, Leonard farmed, worked in construction, and drove truck. In 1955, he began working with the railroad. He retired in 1989. Leonard enjoyed playing baseball in his younger years and was a Minnesota Twins fan. He enjoyed bowling every Monday night for 60 years. He would dine at local restaurants for his evening meals. He liked to play cards and spent time golfing after his retirement. He was a member of the VFW. Leonard will be remembered as a very patient man. Leonard is survived by his many nieces and nephews. He is preceded in death by his parents; and his siblings: Gilbert Buttke and Grace Bronson. In lieu of flowers, the family suggests donations to the SD Lions Foundation or Milbank Area Hospice.